CATU Phase Comparators are used to detect voltage differences between phases and indicate this via LED lights or galvanometer needles which are calibrated according to voltage. CATU phase comparators are suitable for LV, MV and HV applications from 0.75kV up to 36kV. Two pole phase comparators can be used to identify differences in phases between two points for phase matching or checking for a HV fuse. Two pole phase comparators also enable the assessment of the order of the residual current induced by nearby lines lines, live cables or circuits, thus differentiating voltages from the one provided directly from a high voltage source. 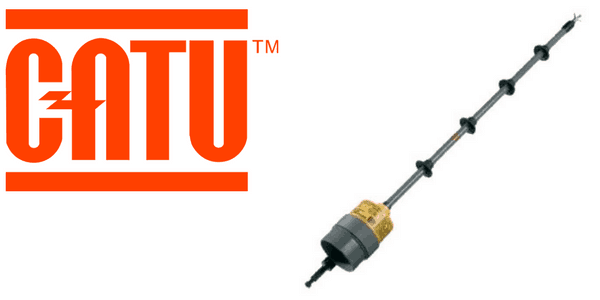 CATU’s single pole phase comparators are suitable for both indoor and outdoor use on medium or high voltage cables, overhead lines and switchgear from 6kV up to 36kV. The single pole phase comparators meet the IEC 61481 standards. When applied to the medium or high voltage electricity sources under testing the hand held CATU phase comparators provide clear visual indication of an “out of phase” condition. (*) Specify type C or K when ordering. Delivered in carrying case. 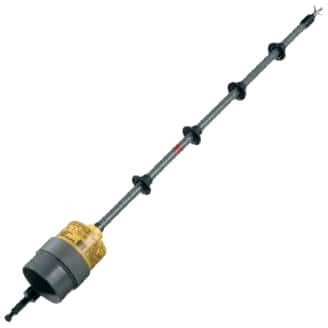 CATU’s CL-8-36 two pole phase comparators are suitable for indoor use only and detect voltage differences between two points of medium or high voltage cables from 2kV up to 36kV. Two pole phase comparators also enable the assessment of the order of the residual current induced by nearby live lines, live cables or circuits, thus differentiating voltages from the one provided directly from a high voltage source and indicate via LEDs. CATU’s CL-5-36 and CL-5-03 two pole phase comparators are suitable for indoor and outdoor and detect voltage differences between two points of medium or high voltage cables from 2kV up to 36kV. 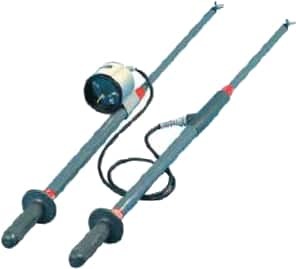 These two pole phase comparators have a complete testing function built in and consist of two elements connected by a high insulation lead. They also have removable handles and indications are provided via a galvanometer needle which is calibrated according to the voltage.